After eleven years with the Charity (six years in her current role), Chief Executive Officer Sue Jenkins has announced that she is stepping down in the summer to join the family business. Sue joined as Voluntary Services Manager in 2007 and oversaw the development of the Volunteers team to over 300 people across a multitude of roles. 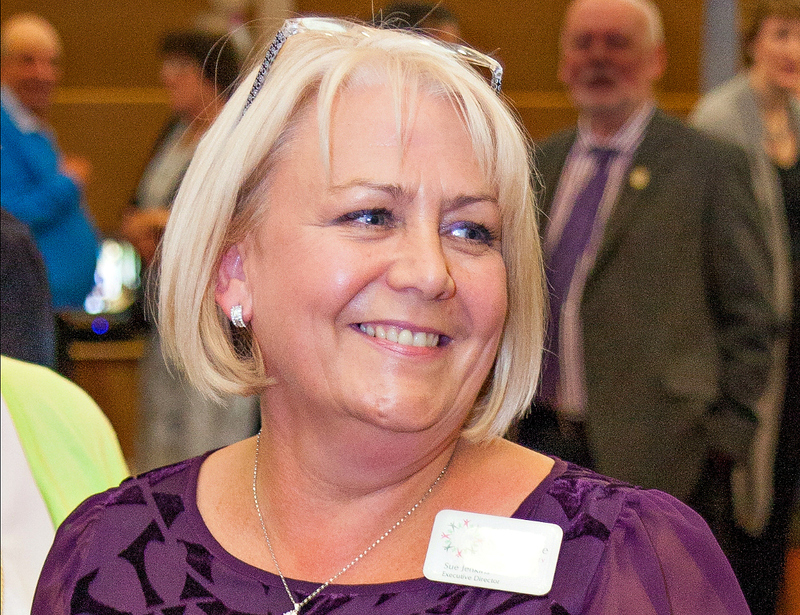 As CEO, Sue has built relationships with our NHS Trust partners to develop the partnership and extend the contribution of the Charity to the Hospice, including creating and funding the Nightingale 24/7 Team and increasing financial support to the clinical teams in the Community Palliative Care Team and the In-Patient Unit. She also led the project management of, the major extension of the Day Hospice. Her patient but persistent approach, proactivity and collaborative team-building and mentoring have been invaluable to the Trustees and Senior Management Team and she leaves the Charity with a strong, dynamic team and a clear strategic direction with which to face the challenges ahead. We’ll miss you, Sue – enjoy your new role but do keep in touch!